On hot summer days, we all need an air conditioner unit or two in our homes to keep us cool. Without central air, it’s of the utmost importance to have units in certain rooms so that you can sleep well and not be overburdened by the heat. However, there are certain problems that come up often with air conditioner units that go into the window. Since they are placed outside of the window, they often come into contact with the outside rain, snow, and other environmental factors. 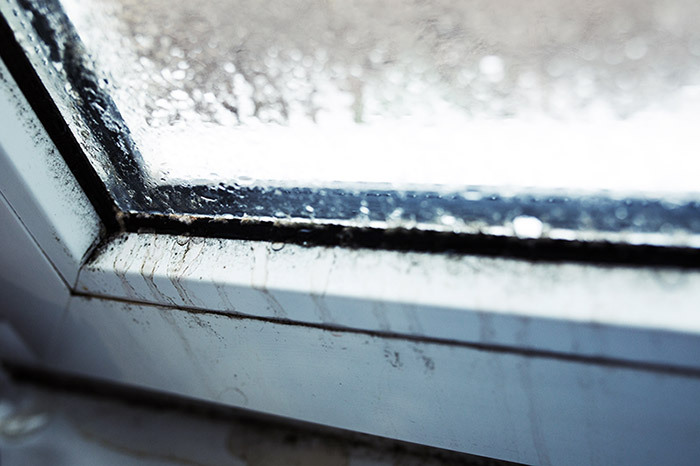 The condensation can lead to mold, which is something all homeowners need to try to prevent. Here’s how you can stop mold from growing in your air conditioner. Why Does Mold Grow in the First Place? Mold grows when extra moisture exists and is left uncleaned. The problem with mold is that it comes from tiny spores. If you see mold and you wipe it up, it will usually come right off. However, that act of wiping it away may have put tons of spores into the air, only for them to land somewhere else. The spores can then reproduce at a rapid rate. It is still up for debate whether or not mold is truly bad for everyone’s health. Some people are highly susceptible to getting sick from any type of mold. Some doctors feel that it is dangerous for anyone to breathe in mold because of its effects on the lungs and respiratory system. The air conditioning unit as a place for mold to grow is even more dangerous because it is constantly blowing cold air out of it and spreading those spores all over. Even if you are skeptical as to whether or not mold is truly bad, there is no doubt that it can potentially cause harmful health effects. In addition, mold is truly unsightly for any homeowner. Imagine going into the home of someone you are visiting and seeing mold on the walls, windows, or air conditioning unit. It makes you question the cleanliness of that person. Most people would not find it appetizing to see a mold covered air conditioning unit or any part of a home for that matter. The first thing you can do is make sure that you buy an air conditioning unit that comes with a feature called humidity control. Most of the window units that you see in the store will have this option. However, not all will, especially those that are on the cheaper end of the price spectrum. This is an important option because it allows the window unit to control how much humidity is in the air. Humidity is one of the main factors that go into the growth of mold. 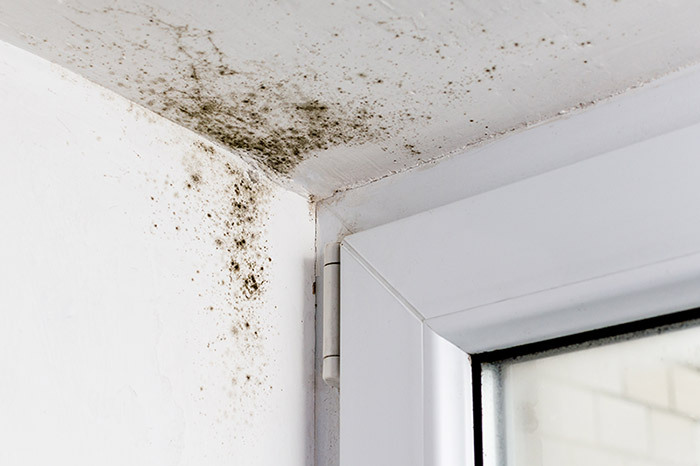 A wet, humid environment encourages mold to grow and to spread. Another thing that you can do to prevent mold from growing on your window air conditioning unit is to get one that has an auto feature. This feature means that the unit can turn on and off by itself. Why would you want this feature? Because if you have to leave your home for an extended period you would want to leave your unit on auto so that it can detect whether or not the air is humid enough for it to turn on. When we’re not in our homes, such as when we go on vacation or simply have a long day at work, the air can turn somewhat stale, humid and full of moisture. This type of environment is perfect for the growth of mold. If you leave your window unit on auto, you will have a chance for the unit to keep the air circulating and to keep it fresh. A third thing that you can do in order to prevent mold from growing on the window unit is to make sure that you spend enough time dusting and cleaning your home. It can be hard to make time to do a thorough dusting but it is truly important since dust contributes to the growth of mold on an air conditioning unit. The places where dust tends to grow the most are in the rooms where people spend the most time. Dust develops from shed skin particles, hair, dirt, etc. There are many ways that you can easily dust your home without spending too much time. Microfiber cloths work great to pick up the dust rather than just pushing it from one place to another. Another idea is to always take off shoes and leave them at the front door. Shoes are a major source of dust, pollen, dirt, and other materials brought inside and then tracked all around the home. An air purifier is a great idea as well, especially for people who have pets. Pet dander can seriously contribute to the formation of dust. Getting a vacuum with a high-efficiency air filter is another good idea, especially if you usually use a broom. Beware of carpets since they make perfect breeding grounds for dust. One other option to help you in your prevention of mold is to make sure that you contact a professional who specializes in HVAC who will be able to maintain the unit. This is especially important when the seasons change. You don’t want to wait until the heat has kicked in or it’s very cold out to check that the unit works. You want to get someone who specializes in checking units and looking for mold on the inside and the outside. Not only will they look for mold but they will look for any signs of water. They can also teach you how to maintain the unit for the future. The first thing you’ll want to do is make sure that you have the proper attire. Make sure that you have face masks and some glasses and protection for your clothing. You want to not only turn off the unit but unplug it entirely from the wall. Remove the front grill and then remove the air filter. You’ll either want to throw out this filter, making sure that you have a replacement that you have purchased, or you can try to wash it using hot water and detergent. Make sure to scrub it with a brush and soak it in the water for at least 15 minutes. There will be a metal cover behind that front grill. Unscrew it and lift it upwards. Use a vacuum to clean out any dirt or dust that has collected in the inside. If you see any mold, you’ll want to wipe it down. You can then make a mixture of bleach, dish soap, and hot water. Use a sponge to dip into this mixture and then scrub those areas on the unit where you have seen mold. You can also use this to clean the front grill if you noticed mold there. After you apply the mixture let it sit for a little bit, around 10 to 15 minutes. Afterward, rinse it with water and a damp cloth. Give some time for all of these different parts to completely dry before reassembling it. Make sure it is completely dry before you plug it back in. Mold is unsightly, unwanted and potentially dangerous. Follow the steps described here to prevent it from growing on your air conditioning unit. It will make your home a healthier and more inviting place to live. Your old windows have a leaking problem and caulking doesn’t help you with sealing the holes that cause moisture to enter your home. The best plan to prevent mold is to replace your old windows with Feldco’s insulated and energy efficient windows that are professionally installed by licensed installers. Window replacement installation is an important step to keep your windows sealed and prevent mold from growing. Speak to a product specialist and get a free quote today!